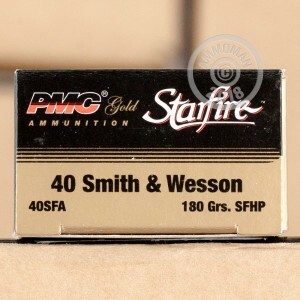 This .40 S&W PMC Starfire ammunition is designed for self-defense purposes and fires a medium weight 180 grain jacketed hollow point bullet at just under 1,000 feet per second. 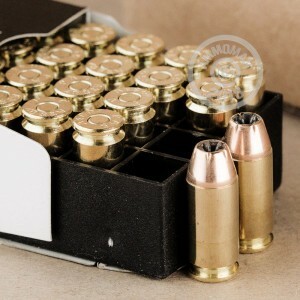 Starfire bullets differ from simple hollow points in their use of a ribbed design that provides a cutting action during the expansion process to provide higiher penetration and faster incapacitation of an assailant. 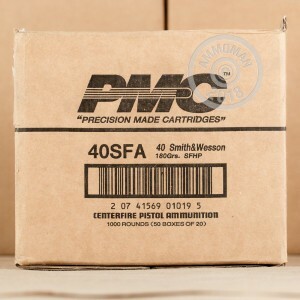 This ammunition comes in boxes of 20 is manufactured using non-corrosive Boxer primers and brass cases. I have used this as a duty round and it worked great at stopping a person in one shot. This is a great price to boot will order a few have to check case price. I will tell everybody to buy this one..